Business cards are often undervalued especially nowadays that people can easily exchange their contact information through the use of the Internet. However, only a few people know that business cards are effective as these never had dead zones or Internet outages. It can be a critical factor in the development of one’s connection to another. With that said, business cards are perfect for inviting people to visit your church or communicate with you in case they need advice or comfort. So, it is best that you carefully design your card not only to captivate people’s attention but also to build your credibility. 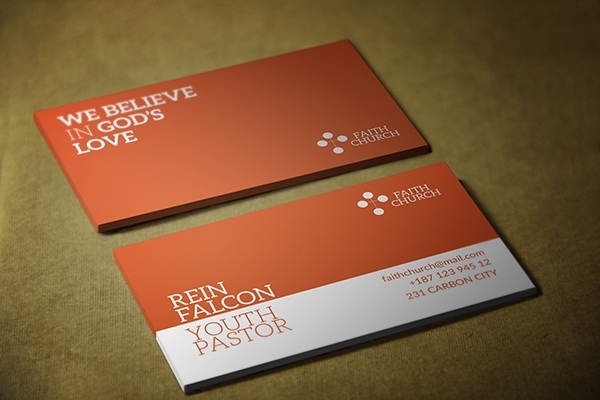 Below are some awesome church business card examples that you may refer to. 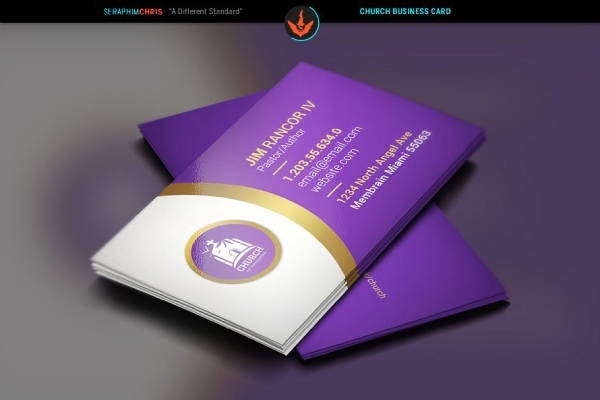 In a church business card, such as the one presented above, the contact person is usually the pastor or priest. Hence, his or her name is incorporated in the card, his or her role or position, and email address. The church logo is usually placed at the top portion of the card. Alternatively, only the name of the church is included. It is also vital that you include the complete address of the church in case people would like to visit the church anytime soon. You can also mention the contact number of your church or the personal contact details of the pastor. If there is still enough space, you may include the schedule for the Sunday services, midweek service, or Sunday school class. Lastly, if you have a website for your church, include that in your business card so that people can visit the site and check the background as well as the activities of the church. A lot of churches today put more focus on the youth ministry, engaging young people to attend religious activities, be part of a religious community, or be more involved in spiritual life. In these areas, a youth pastor is needed. 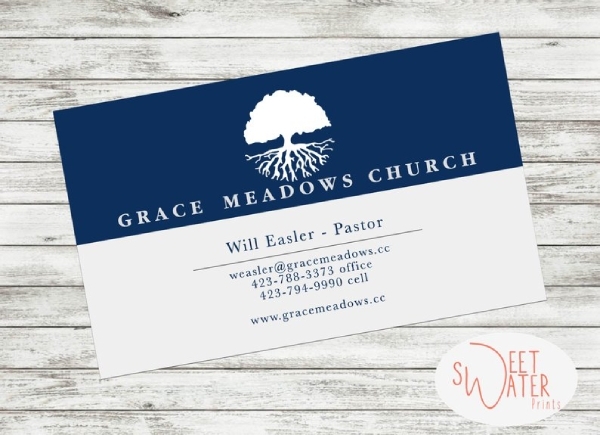 Hence, in order for the young people to easily communicate with the pastor in case they have questions and other concerns related to their spiritual growth, a church youth pastor business card is needed, similar to the above example. In the example, the design is minimalist such that it uses only two colors, but that’s what makes it more elegant and decent. Whether you are a business entity or a church or religious organization, it is important that you establish branding in order to gain people’s trust and confidence in your organization. Because there are a lot of fraudulent activities happening nowadays, it is understandable that people will refrain from easily trusting you especially when you are inviting them to the church. One way to establish your credibility is through the use of a church business card, such as this formal church business card example. It is the first step not only in welcoming and inviting people to come to your church but also a way to create and build your name as a church community. 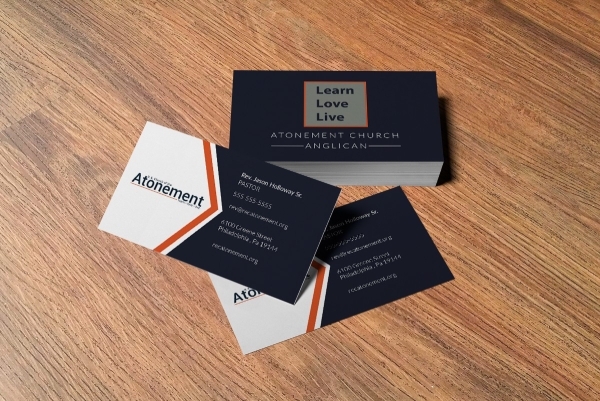 You can use the branding elements of your church to achieve a personalized and consistent branding among all your marketing materials or church documents. Not sure what to include in a church business card? You can refer to the example above which will serve as a guide so you can create a business card that is personally tailored to your specific preferences. Do not forget to include the essential elements of a card, such as the following: name and branding of the church; contact details, including phone number, email, and website; address or location of the church; and high-quality graphics and designs. For the paper, it is best to choose a thick paper, preferably 300 gsm. The choice on whether to have a gloss or matte finish depends on you. You can use gloss to have a smooth, professional finish, while matte to have a classy and formal look. As a member of the church, it is your duty to share to the world the things you believe in and listen to the people’s struggles and challenges about life. You might not be able to help them solve their problems, but at least you offer your shoulder for them to lean on. Sometimes, people just wanted to be listened to when they share their life’s battles, and all they need is an attentive ear that would willingly listen to them. 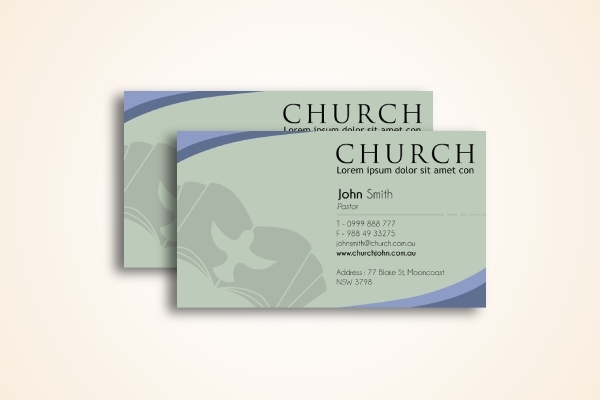 Hence, do your first move and provide them a way to communicate with you, that is, through your church business card, just like the one displayed above. So, create one now so you can start serving people in your own little way. No matter how busy a pastor is, we all know that people can always count on them whenever they need someone to listen to their problems or when they need a piece of good advice. 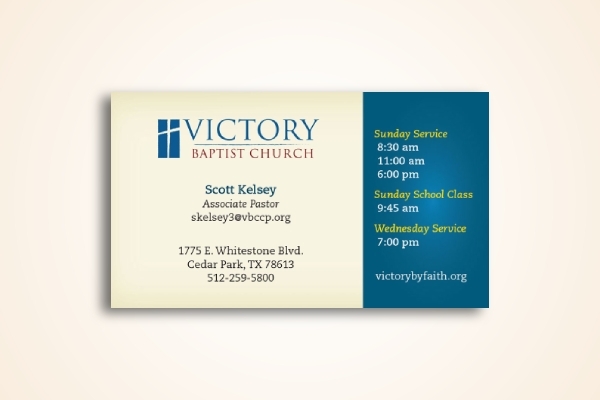 This is done with the help of a business card, just like this remarkable church pastor business card. Apart from the contact numbers, the name of the church is also introduced, which is important so that interested people can search the name on the Web and have a short glimpse regarding the background of the church. This would make them feel at ease since they already get to know at least a portion of the history and culture of the church. Even from decades ago, a business card is proven useful and effective in encouraging new friends to come to the church. 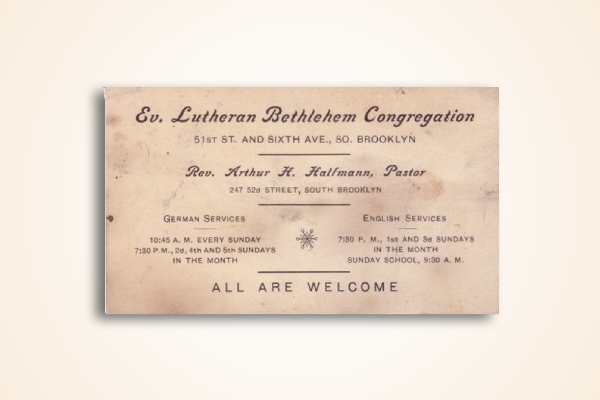 Just like this vintage church pastor business card, it is essential that you include the details of the service—for example, the date, time, and location of the service—so that the receiver of the business card will know where to go when he or she wanted to attend the service. The name and contact number are also important in order for the visitors to know who is their contact person whenever they visit the church or attend the service.